A Report published by ‘Initial Washroom Hygiene’ give the results of tests their researchers have carried out on women’s handbags and men’s briefcases and carryalls. The Report reveals that handbags are generally contain more bacteria than the average toilet seat, and that leather bags are the worst culprits, as the surface texture provides perfect conditions for bacteria to grow and spread. The study found that one in five leather bag handles contains enough bacteria to be a viable health hazard, with the smaller pockets and zip sections being little better. Just imagine how many germs and bacteria are currently living happily on your Leather sofa, or Board Room chairs? Having them professionally cleaned regularly is an antibacterial process that will remove and kill all the organisms that are too small to see with the human eye. Whatever you do, DON’T look at your sofa through a microscope, or you will never sit on it again! Our specialist leather cleaning process will even kill MRSA bugs and allergens, which is especially important if you have babies, children elderly relatives, or anyone suffering from Cancer or another debilitating illness. 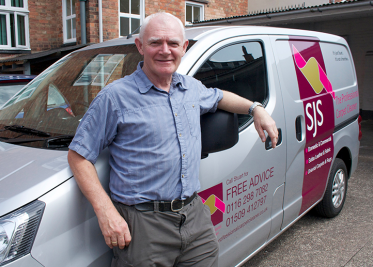 SJS Carpet Cleaning – keeping you and your family safe and healthy.